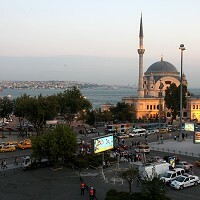 An online database of buildings has unveiled a new guide focusing on the attractions on offer in Istanbul. OpenBuildings, a directory of buildings from across the globe, provides a series of guided online tours in the largest city of Turkey. Ahead of the journey to Istanbul, travellers can use the guide to open up the historic, contemporary or conceptual architecture with a huge amount of information about the buildings. A comprehensive travel insurance policy could also prove useful before planning a trip to the city. The guide also shares information about the markets of Istanbul, and buildings in other nations such as contemporary architecture of Rome, the iconic residential buildings of Los Angeles and cities like Paris, Chicago and New York. The editor-in-chief and co-founder of OpenBuildings, Tom Mallory said: "The launch of Guides today will give travellers and architecture enthusiasts a real source of expert information about the buildings around them." He added: "Unlike generic travel guides, OpenBuildings guides also bring the buildings to life with expert commentary and pictures." Well known as a great destination for relaxing beach holidays, Turkey offers many resorts, sporting activities, ancient monuments and a varied cuisine.